The situation afterthe President tutted and rolled his eyes yesterday hasnt changed. Nobody want to play with each other, and the M5S are taking the ball home. Matterella outlined the options – a neutral government to limp on till Xmas, or elections. 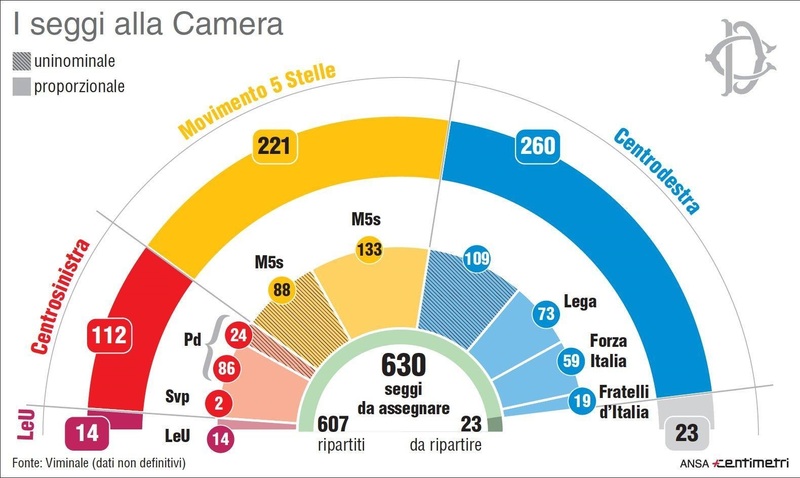 It seems that 8 July is favourite of the Lega and M5S, but not of the rest. For the first two their voters will turn out no matter what – whereas for FI and the PD and all the smaller parties, its probable that their voters will be at the seaside or sorting out their drawers that weekend. It would turn into a plebiscite on the two larger parties, with the same result as before. Failing July we are in late September, early October which is what FI and PD want, butthen it will be too late to stop the rise of VAT to 25% by the end of the year. Mattarella would like a government to hobble into 2019 so the gaping failure of the italian constitution isnt so apparent. Posted on 08/05/2018 by rammers. This entry was posted in Uncategorized. Bookmark the permalink.